Samsung Mobile CEO DJ Koh yesterday made some interesting statements about the foldable smartphone Galaxy X as part of the presentation of the first quad camera smartphone Galaxy A9 (2018) . The new mobile phone with the foldable screen will not only be usable as a smartphone, but also as a tablet. Unfortunately, he did not tell exactly how big the new device will be and how to fold it up. Recently, it has been suggested that there will be a rather elongated cell phone with a 7.3-inch display that can be folded like a flip phone and has a second display on the outside with a 4.6-inch diagonal. Does not really sound like a tablet replacement, considering that current smartphones now have a screen size of over 6 inches. Much more important, however, appears the second statement by DJ Koh. So he said he just wants to bring a foldable cell phone on the market, which really makes sense for the customer. If the user experience does not meet its standard, it does not want to bring it to the market. A correct and very important aspect in our opinion. 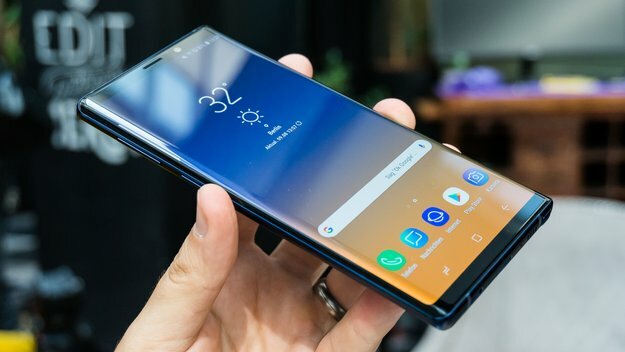 Samsung has been developing the first foldable phone for several years. Premature presentation with an unthinkable product – Lenovo recently did . The foldable smartphone has to offer and inspire added value. This is the Samsung Mobile boss so be aware and that calms us. Samsung wants to be the Galaxy Galaxy smartphone later this year. In 2019, however, the mobile phone will first come on the market. It should not be like a prototype, but be available in large quantities. Cheap it is not. Recently, a price of about 1,500 euros in the room . The enthusiasm for a foldable smartphone is worth this amount.